Some items shown were not used. Extra was purchased just in case there was not enough material. 1. 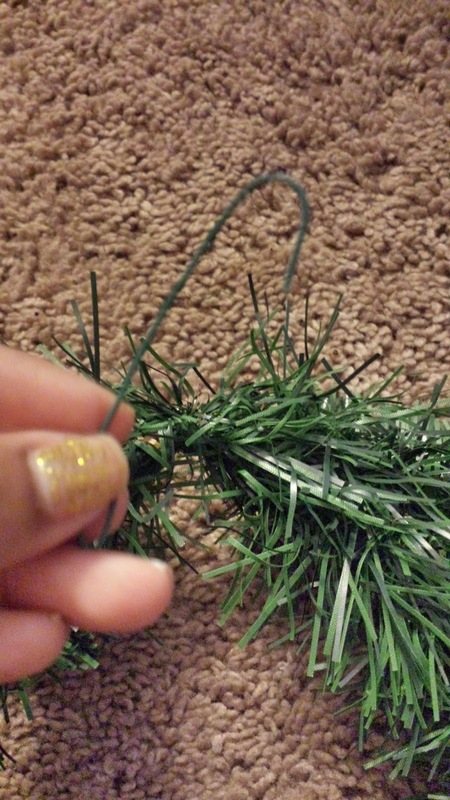 Measure your fireplace with the green garland. Mine was less than 9 feet so I was able to double. If you are able to double secure ends with ornament hangers to mark end places. This will help to know where to stop decorating. 2. Wrap colorful garland around the green garland. 3. Attach bows in desired areas. Use as many as you would like. 4. Tie ornaments on garland were desired. 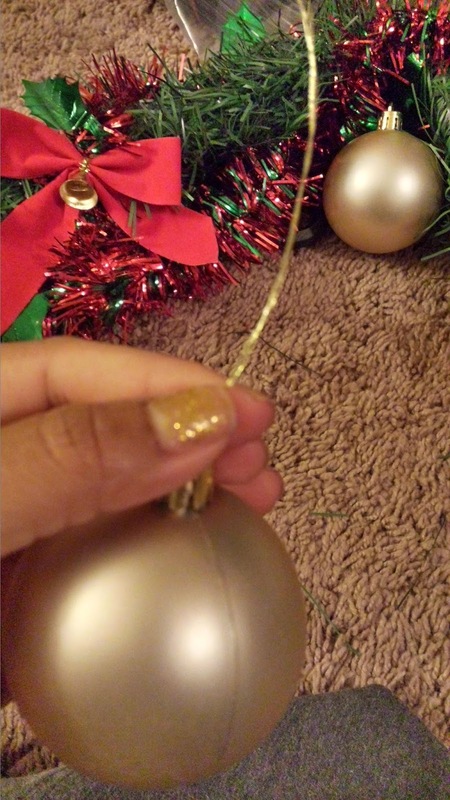 Use the gold ornament string that came with the ornaments. 5. 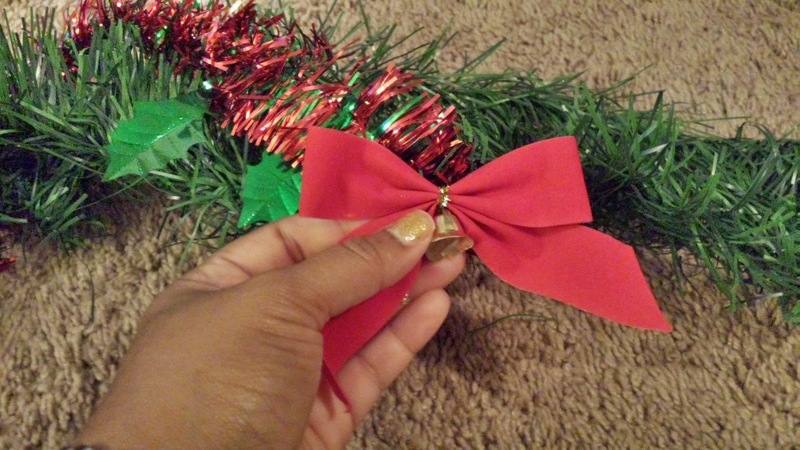 Using the wired ribbon create 2 bows as shown below. These will be placed on both ends. 6. Secure bows in corners. 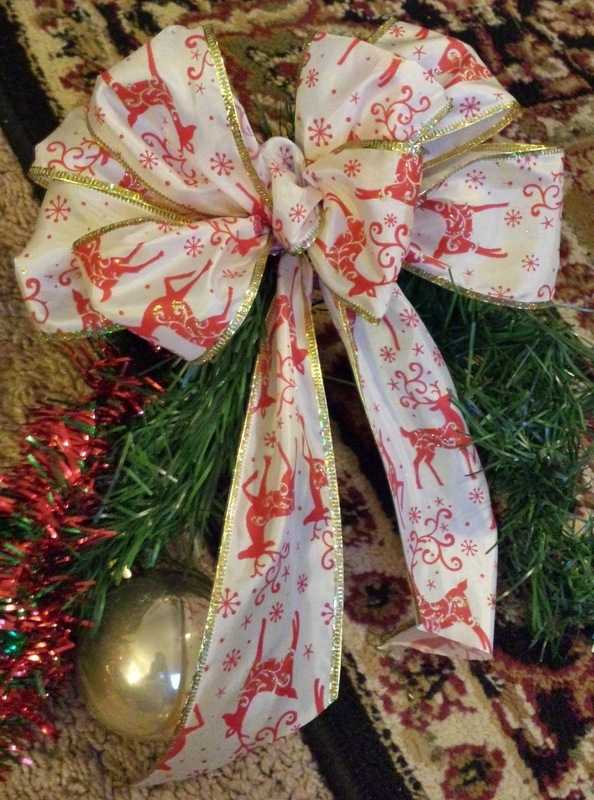 The middle bow was made from left over ribbon. 7. 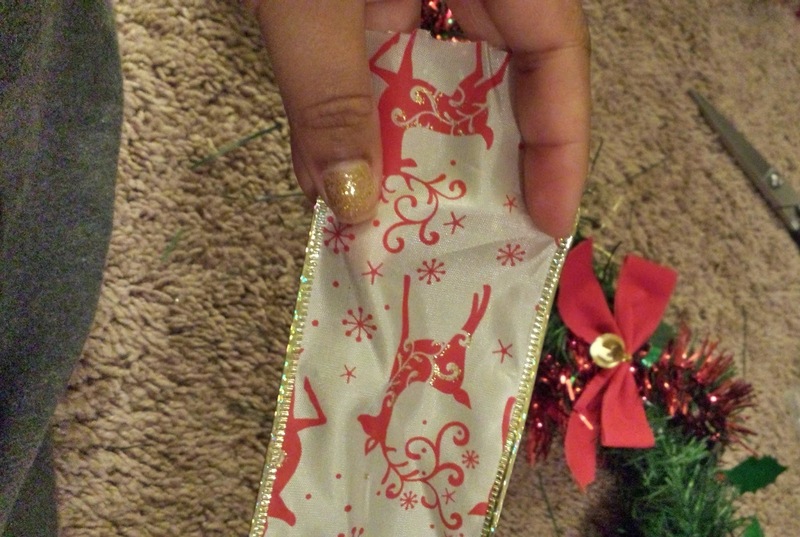 Using tape or decor hangers, hang your New Christmas Decor! Add Christmas stocking if wanted. :) Enjoy!